One day it hit me that I was going to have to decide what to make for dinner for the rest of my life. Sure, we'd have the occasional night out to eat, or maybe pizza or Chinese food, but for the most part, that lingering question would always be there. I've heard about services that send you meal ingredients or even recipe cards, but they all seemed kind of expensive to me for what you got. But then I was contacted by a new local business called Simply Delicious Dinners. 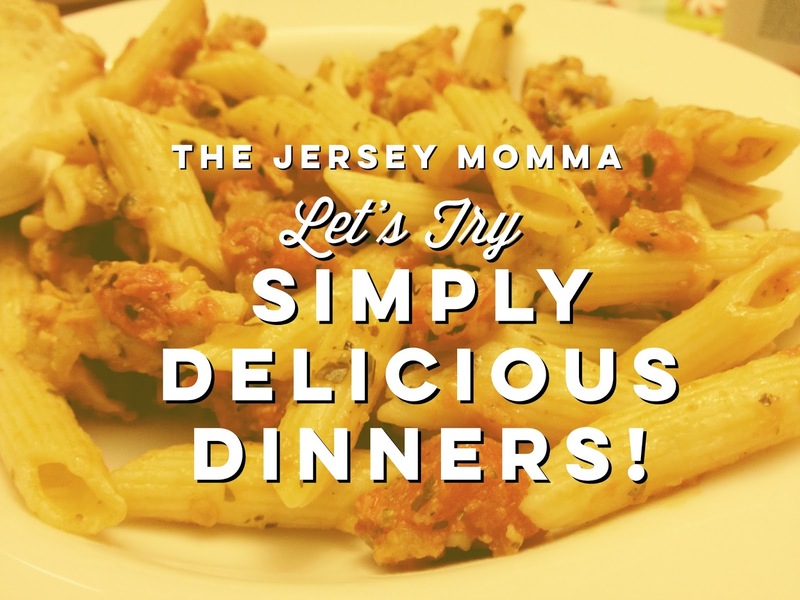 They're based in Central New Jersey, and they provide ready made meals to their customers. They arrive frozen, and all you have to do is heat them up. Can you imagine how excited I was to try them out? In Japanese pop culture there is a term for everything cute, and that term is KAWAII! Sanrio characters like Keroppi frog and Hello Kitty were a huge part of my childhood. Even today I have a hard time resisting Kawaii items in stores (pencils with smiling bunny tops, puffy food stickers with little eyes and noses drawn on them- need I say more?). Kawaii is an art form, and it's one that my heart appreciates. Mr. Jersey Momma says it's one thing he doesn't understand, but what does he know? Anyway, if you happen to have the same Kawaii obsession that I do, you might appreciate this fabulous service called Kawaii Box. Read all about it below, then enter to win a Kawaii Box of your own! Somewhere in your travels between New Jersey and Pennsylvania (especially on your way to or from Hershey from Central or Western New Jersey) you might have noticed a little place by the side of the road, aptly named Roadside America. Have you driven past there, wondering, what exactly is Roadside America? Well, now you can find out! Come with us as we visit Roadside America in Shartlesville, Pennsylvania! Last year I purchased a Groupon for the Planetarium at Raritan Valley Community College. This is literally a stone's throw away from where I live, and after reading about it online, I figured it might be fun to try. What is the Planetarium at RVCC? Raritan Valley Community College is located in Branchburg, not far off of Rt. 78, 287 and 22. It's very easy to get to. The planetarium offers star shows, laser light shows and an observatory open on select days for viewing. My review is based on one of their public star shows, The Alien Who Stole Christmas, which is offered throughout the month of December. What is the Planetarium Like? The Jersey Momma's Boy was four when we took him to the planetarium. He loved the idea that he was going to a college campus, and it was exciting for him to see the college buildings, the planetarium, and the dome of the observatory. Upon entering the planetarium, you'll see what looks almost like the tunnel of a spaceship. My son was in awe of this! Once you venture into the "space tunnel," you can view some space displays and glowing windows of space facts. The lights are pretty dim once you get through that tunnel, preparing your eyes for the planetarium itself. I don't have any pictures for you from here on in, because the lighting was not really suitable for photos. The planetarium doors open a few minutes before show time. It is important to note that once the doors of the planetarium are closed, they cannot let you in, so don't be late to your show (they suggest you arrive 20-30 minutes before show time). Also, if you need to leave to use the restroom, they cannot open the doors to the planetarium to let you re-enter, by order of the fire marshall. So do your business before you head in there! The show itself is cute, but a little hokey. Don't expect superb graphics and computer animation. These are just cartoon images projected onto the ceiling, narrated by your host of the show, who is in the room with you, reading into a microphone. The story revolves around some aliens kidnapping Santa, but it's nothing scary and recommended for ages 6-10. My son was only 4 and he was okay with the show, but not all little ones are the same! 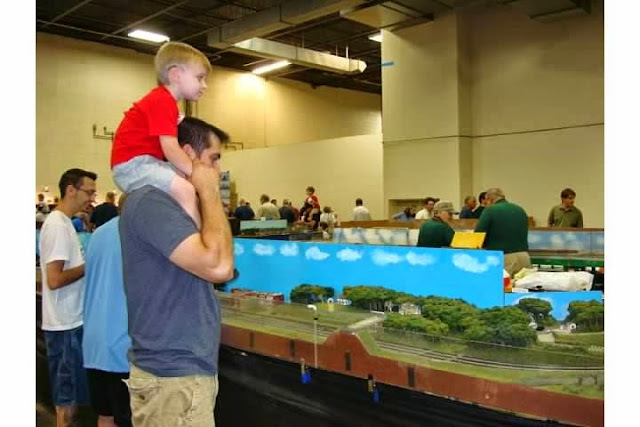 Think ahead to what your child will like best. The seats are comfy enough, and they are tilted back so you can look up at the giant pseudo-sky without hurting your neck. The whole show runs about 40 minutes. This is a planetarium, so it will be dark. Sometimes, very dark, as you need to be able to see the night "sky" above you. If your little one has issues with the dark, just keep in mind that this might not be the right event for them. If you have to leave during the show, just remember that they won't let you back in. This was a great learning experience for my son. He was able to experience a real planetarium at a low cost and learn a little bit about the solar system in the process. We once attended a different show in the summer and it was a nice change on a hot day, perhaps an alternative to a movie? This is a small planetarium on a college campus, so as I usually say, don't expect it to compare to larger, more costly planetariums in museums. If you think the Alien Who Stole Christmas might not be right for your child, check out what else they have to offer. There are other star shows and music laser light shows, too, all of which look like a lot of fun. The planetarium also offers events for children with autism. Check their event listings page for more details. Head over to their Facebook page or sign up for their email list for more information. Every now and then I like to give a shout-out to local New Jersey businesses, especially when you can find their products outside of New Jersey, too. I had the opportunity to sample some chocolate from Enjou of Morristown, thanks to the fine people over at Chocolate.org. Yes, yes, I might have received my chocolate for free, but I swear to you that I would not recommend something to you that I totally didn't love!! The Jersey Momma's boy is a big fan of robots. He specifically loves the movie Wall-E and all of its crazy characters, so when he asked if he could have a Wall-E Robot themed birthday party this year, I thought, why not? If you recall, we had an Art Themed Party for his 5th Birthday, and that was a huge hit! 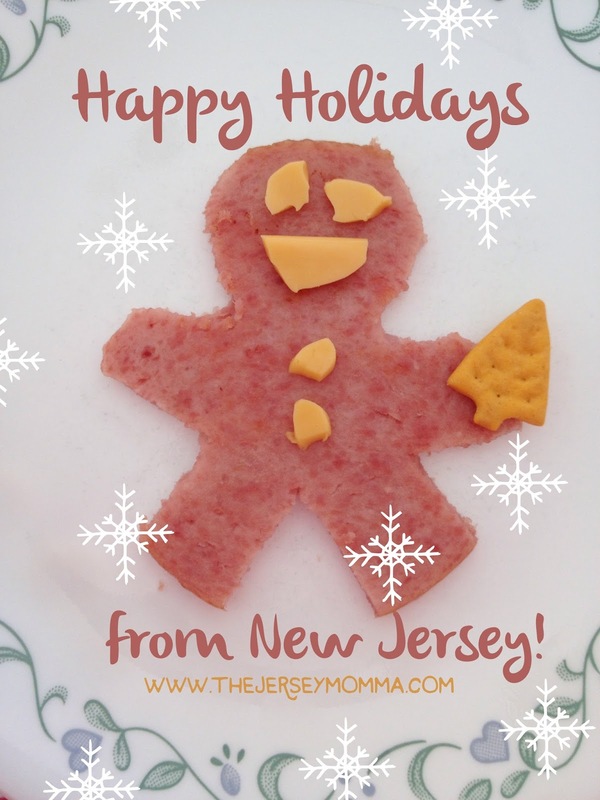 Have you ever been to a cookie decorating workshop? Sounds appetizing, right? Actually, I love anything titled a 'workshop' because I get an immediate picture in my head of little elves or Santa or something. But add the word 'cookie' in there and I'm DEFINITELY in! So come with us for one of the best cookie decorating workshops around, with none other than Sweet Dani B herself. I'm always in search of easy, healthy recipes. I'm a lazy cook and I hate chopping vegetables and preparing the meal. Don't get me wrong, I know it's important to eat healthy, I just dread putting effort into it (isn't that terrible of me?). Anyway, here's a simple recipe I found for those who are slowly trying to transition into a healthier lifestyle or for anyone who needs a quick, healthy meal that tastes good, too. It's also a great meal to make for company. It's not easy to think of ideas for class parties. There's only so many DIY games one can create! Once again I needed to find a fun activity to do in The Jersey Momma's Boy's classroom for the latest class party (which just so happened to be a Dr. Seuss Read Across America Party. You can read about the Yertle the Turtle Stacking Game we made for that party here). I was trying to think outside the box and I came up with a DIY Find It Game! Being The Jersey Momma comes with lots of perks. 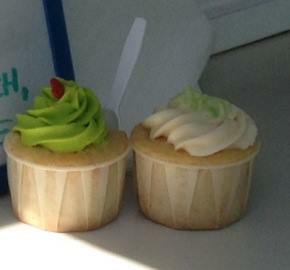 One of them is having a sister who owns The Pirate Cupcake truck. I was so excited when my sister bought an ice cream truck. 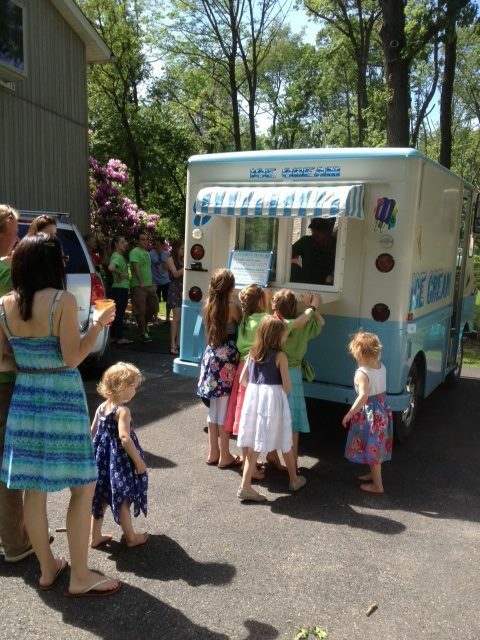 This ice cream truck (affectionately known as 'Clyde') was destined for greatness. He was to become 'The Pirate Cupcake Truck,' serving cupcakes and ice cream at parties and events! The Pirate Cupcake truck before his transformation was complete! With much determination, planning and help from cool friends, Clyde made his final transformation and became a butterfly. He became...THE PIRATE CUPCAKE TRUCK!! So what's The Pirate Cupcake truck all about? 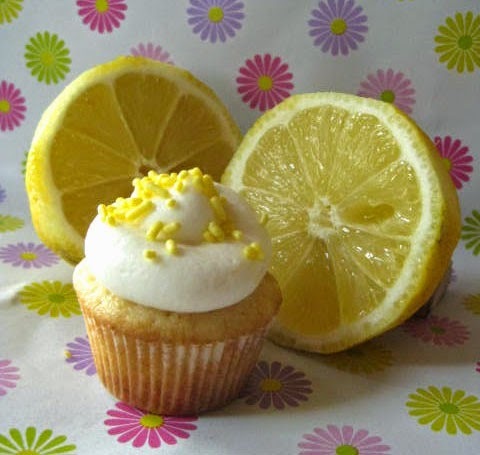 Well, visit The Pirate Cupcake website to find out all about it and see all of the awesome cupcake flavors (my personal favorites are the Joe Vanilla and the Strawberry Shortcake). Last night I was invited to tag along and help serve ice cream at a birthday party with the Pirate Cupcake. I had a blast! Just seeing the smiling faces of the kids as they ran up to the back of the truck was enough for me. The adults had just as much fun as they posed for pictures and asked us to play our ice cream music again and again. Although I must admit it was a little torturous to pass out all of that delicious ice cream and not eat any of it. But I'm weak like that. 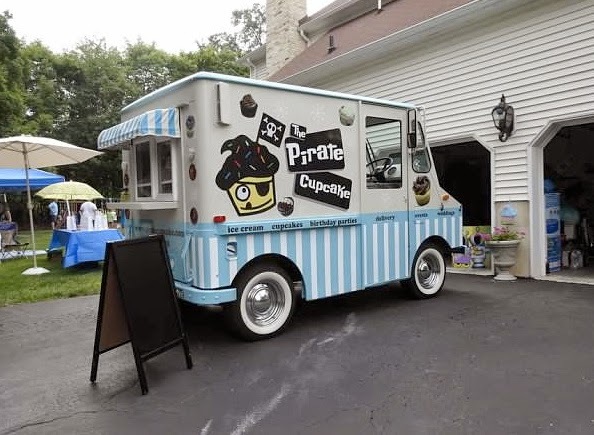 We were also lucky enough to have the Pirate Cupcake truck at The Jersey Momma's Boy's 6th Birthday party (which was robot themed. You can read all about that here). *You can currently find The Pirate Cupcake at the Stangl Market in Flemington on Saturdays from 9-3, or visit the Pirate Cupcake Facebook page for more information. I was recently looking for a way to cut back on sugar (I am a sugar junkie, it's in pretty much everything I eat). I love breakfast cereals and wanted a suitable, easy replacement that would keep me feeling full and be semi-healthy at the same time. These Breakfast Egg Cups are great for breakfast, but taste great for lunch or dinner, too. You can mix and match whatever vegetables or meats you like, as well as choose your cheeses. If you make them and don't care for the amount of fillings, you can change them any way you desire. I keep them in the fridge and reheat them when needed for breakfast or even lunch. Step 1. Preheat oven to 350 degrees. Grease a muffin pan very well (you have to really spray it, otherwise the egg will stick and that is just a total mess). I have heard some people also like to use silicone muffin cups for these, but I've never tried it. Step 2. Whisk together the eggs, milk and cheese. Season with salt and pepper if desired. I tend not to add salt if I am already adding bacon or sausage. Even the cheese seems to give it enough saltiness in my opinion, but it's all about personal taste. Step 3. Add your vegetables and meats and stir until just combined. *Note: if you want a more even distribution of your ingredients in each egg cup, then do NOT add your fillings to the egg mixture in the bowl. Pour your egg mixture into the muffin pan and then you can add each ingredient to each muffin cup individually, if you prefer. Step 4. Pour your egg mixture into each muffin cup. If you want a higher muffin, fill about 3/4 of the way. If you want flatter, mini egg cups, fill them a little less. Step 5. Bake for about 20 minutes at 350 degrees, or until slightly browned around the edges. Mine took about 18 minutes in my ugly muffin pan. Allow to cool completely before removing from pan. I use a little plastic knife and just pop them right out. If they don't pop right out, you probably didn't spray your pan enough. They might sink a little in the middle after they cool. This is normal, although the Jersey Grandpa makes these and he's not too happy about that sinking factor. So we've been working on our ingredients to see why some of them sink and some don't. Store egg cups in an air-tight container in the refrigerator. To reheat, just stick them in the microwave for about 20-30 seconds. You can also freeze these, but they are best eaten fresh or reheated from the fridge. Oh, and the number of egg cups you get depends on how much you fill each cup up with the mixture, but from this recipe you can yield anywhere from 6-12 egg cups. I wish I had a printable recipe for you, or all of the nutritional information, or a conversion for this if you want to just make it with egg whites or something. I also wish I didn't have such an ugly muffin pan. But I'm just The Jersey Momma and not super blogger, so this is the best I could do. I adapted this recipe from EatDrinkLove, so feel free to visit her page and look there for other tips, nutritional info and nicer photos. And check out my pal over at TheDomesticGoddess for her version of the fab egg cups, too (which are sort of egg whitish).